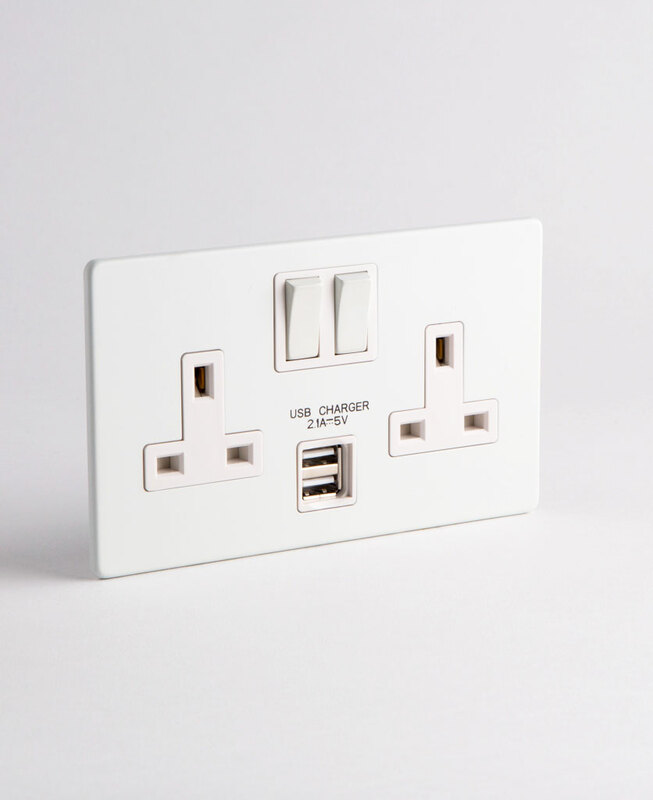 When only white will do, our white double plug socket with USB* is an ultimate purist’s dream. It’s the very epitome of minimalism – we’ve even hidden the fixings away so your lines are ruined by unnecessary faffery. And not only that, but it has an uber handy USB port integrated right in. You can now charge your devices without having to second guess what plug goes with what. 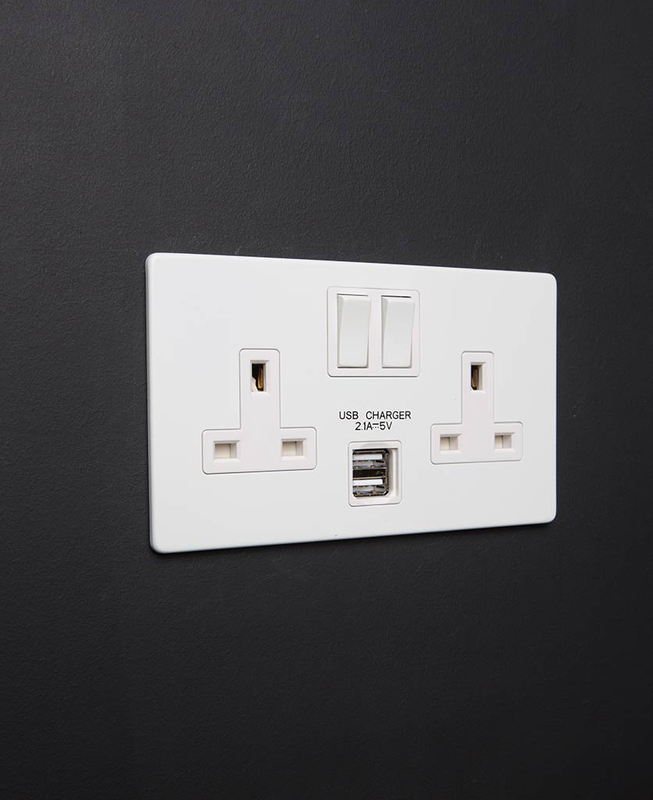 Our white double plug socket USB fits with any industrial-led interior. Particularly modern minimalist or all-white Scandinavian. It’s perfect for updating one of your existing sockets. We designed this sleek white wall socket ourselves. We still wanted white double plug sockets but that were nicely designed, were of high quality but still affordable – so we could replace all the sockets in a room at once… Without taking out a second mortgage. 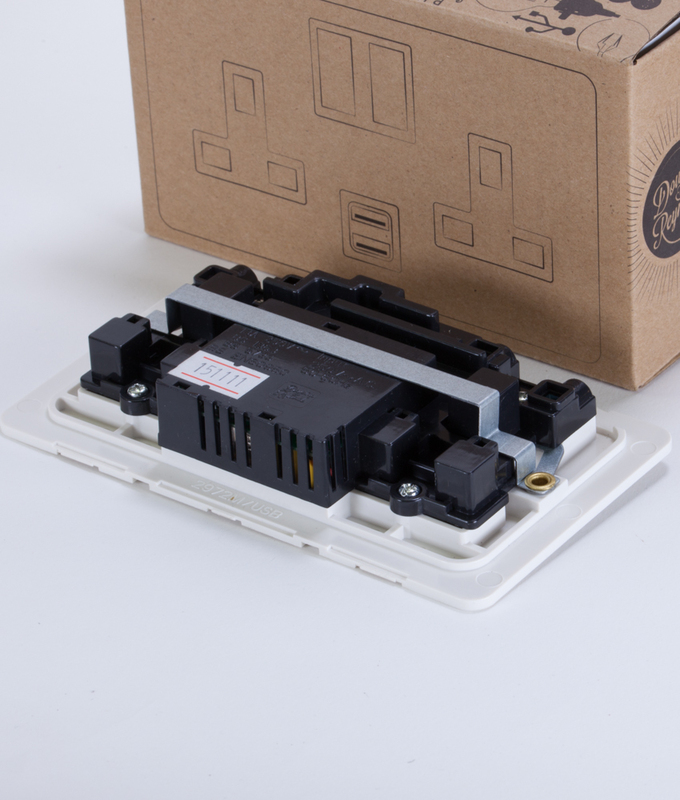 And why not replace an ordinary double socket with this USB version whilst you’re at it, we thought. Along with designing ranges of slick plug sockets, we’ve also created collections of equally lovely light switches, dimmers and retro toggles. Whether you mix and match or coordinate is totally down to your personal tastes. They’re all designed to fit perfectly within an industrial style interior, so let your creative juices flow. 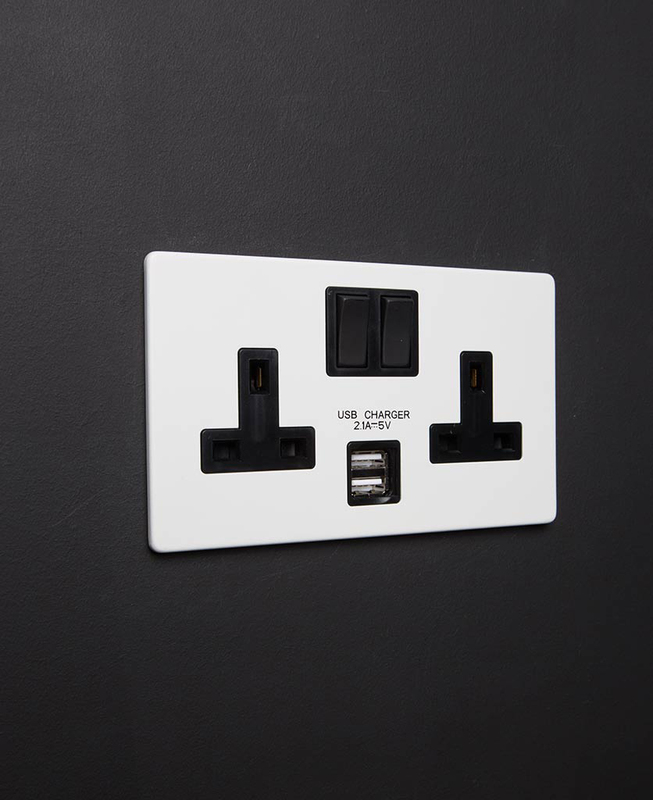 If you love this white USB socket, have a scout around our other white lighting accessories, the complete range includes some very nice light switches; dimmers and toggles. Even if we do say so ourselves.